Plymouth, Devon, England. Some pictures. Also a pictorial records of the redevelopment of the Drake's Circus area of the city. 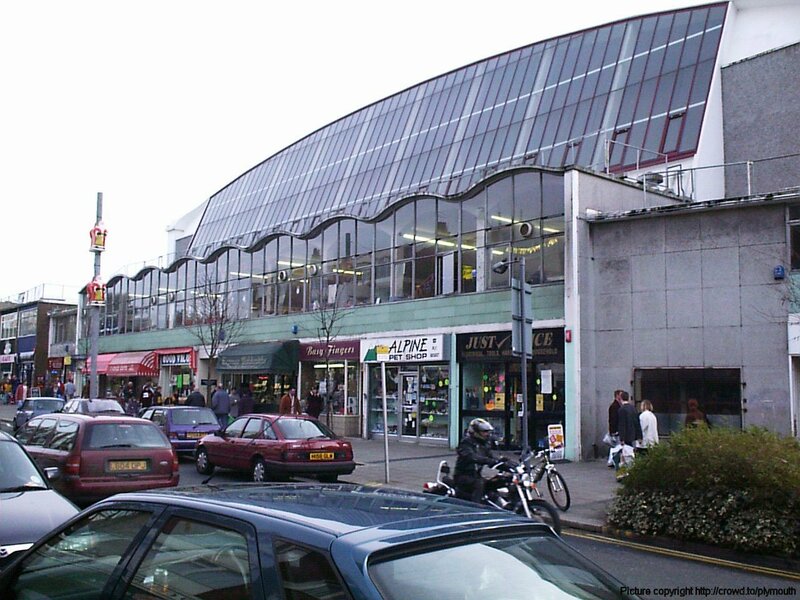 There seems to be a lack of photographs on the Plymouth area on the Internet so I've made a start here. If there are any other pictures or suggestions you would like to see here, please email me and I'll see what I can do. All pictures are bigger than they appear on this page, click on them to see them full size and in high resolution. This web page was featured on BBC Radio Devon medium wave during September 2001, in an interview by Gordon Sparks. Note that many of these photographs, particularly those of the city centre, could not now be taken without risk of arrest under mis-used anti-terror laws. Please see this site on the subject. The building on the right is The Citadel, an ancient fort which is still in use by the military. 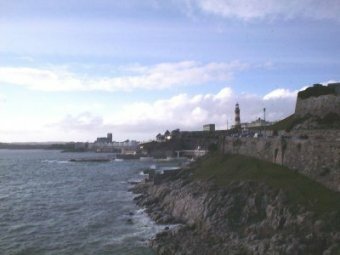 The red and white striped tower is Smeaton's Tower, the world's first stone lighthouse, which was transported in from its location out to sea and reconstructed on the Hoe. The harbour area to the left is known as the Plymouth Sound. Click on the picture to see it in high definition. Plymouth viewed across Plymouth Sound from Jennycliffe (walking distance from my previous home in Staddiscombe). The island in Plymouth Sound is called Drake's Island, it used to be an activity centre amoungst other things. At the moment it does not seem to have a purpose. 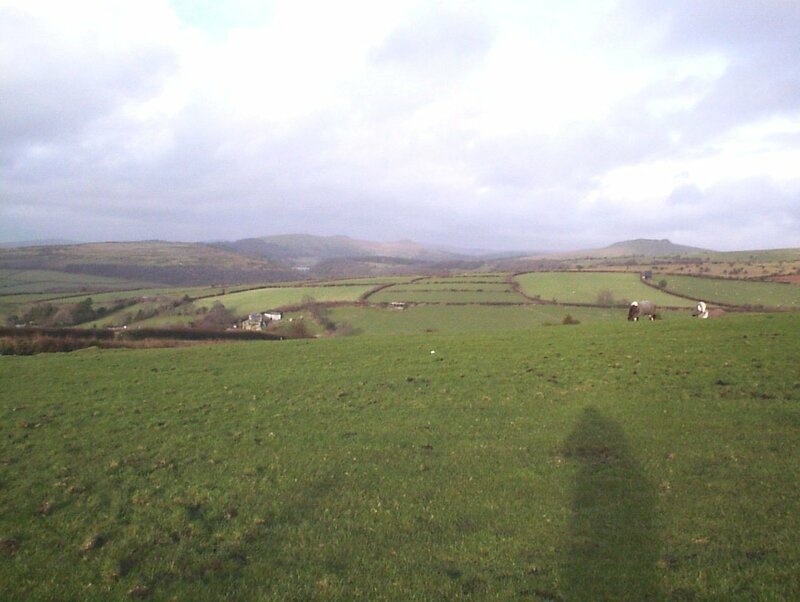 The land to the left is Cornwall, whereas Plymouth is located in Devon. Another view of Jennycliffe, showing the concrete gun placements put in during the Second World War, the guns looked out to sea in case of German invasion. Anyone who can give me more detail on these, please email me. 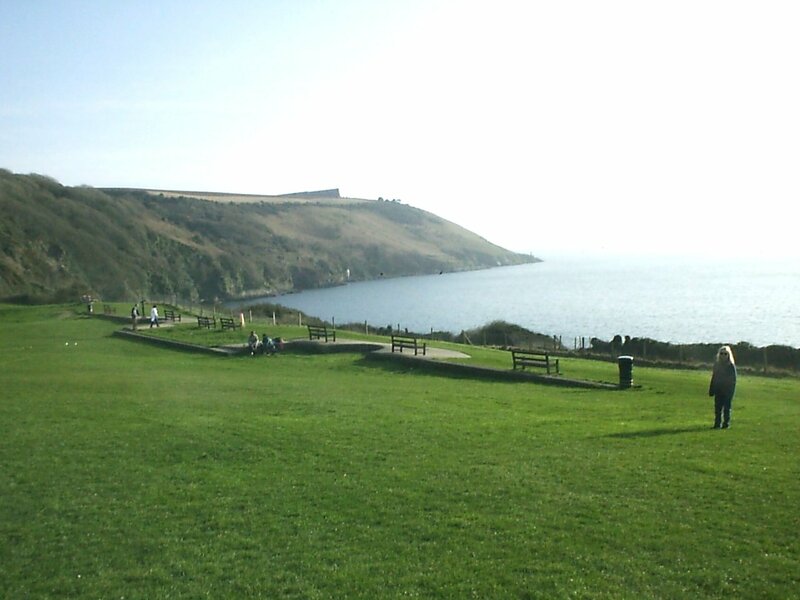 Jennycliffe is a popular recreation area with beautiful views, hence the benches on the concrete gun placements. It was from around here that I (and a few thousand other people) viewed the Solar eclipse in 1999. 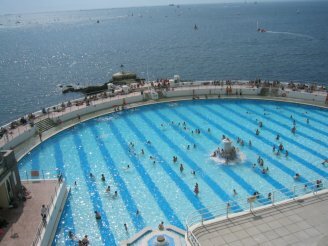 Tinside Pool had succumbed to the winter storms. Once it was a wonderful outdoor lido from the 1930's. In 1991 it had to be closed as it had become unsafe and slowly crumbled. At last it has been restored (late summer 2003), there is more work to do around it, but it is open to the public once again during summer times. 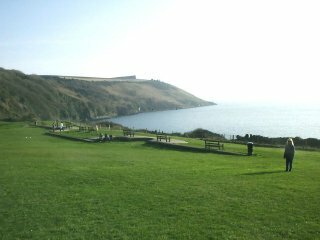 This is a 15 minute walk from the city centre, or park up on Plymouth Hoe itself. ... a picture taken recently from almost the same spot. I could not get to exactly the same position, it appears no longer to exist. You will see on the left side is Tinside pool in the distance. 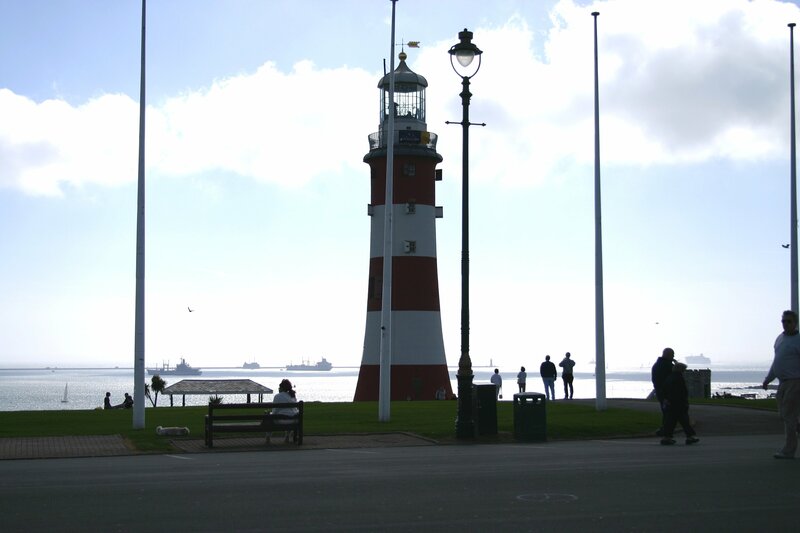 Smeaton's tower just sneaks in the right hand side, to help you locate yourself if you know the area. The chalets are still in use, and the cafe at the top right of the picture served us with nice coffee in excellent surroundings after I had taken this shot. We were able to see HMS Manchester coming into port. 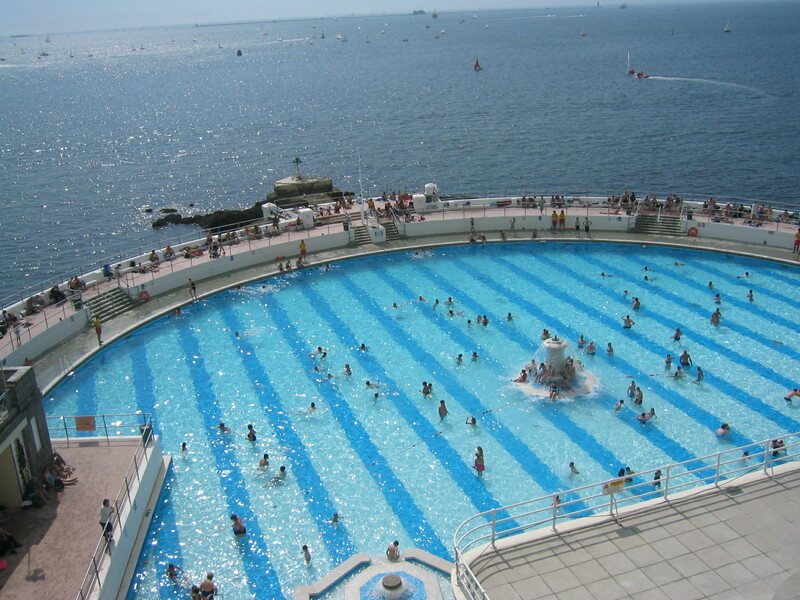 This was taken during Easter 2004, Tinside Pool had not yet opened for the season. 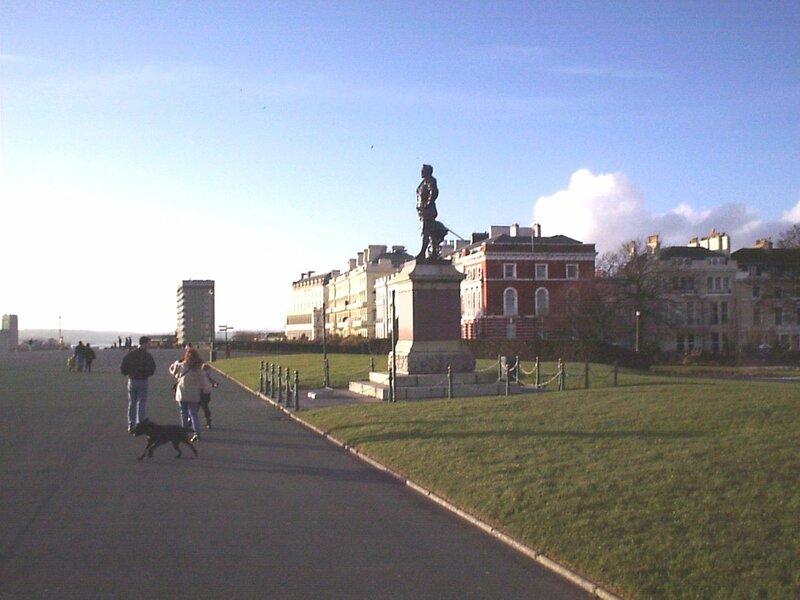 Sir Francis Drake was said to have played bowls on Plymouth Hoe in 1588 while the Spanish Armada approached. But he got himself a statue to remember him by! He wasn't daft, he knew the tide was against the Spanish Armada. 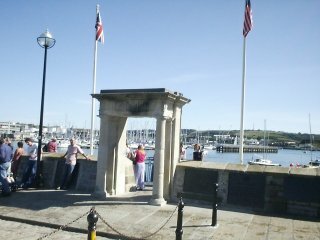 When the tide turned the English Fleet sailed from Plymouth Harbour and defeated them by sailing burning ships into the Armada. Drake lived near Tavistock just a few miles from Plymouth. 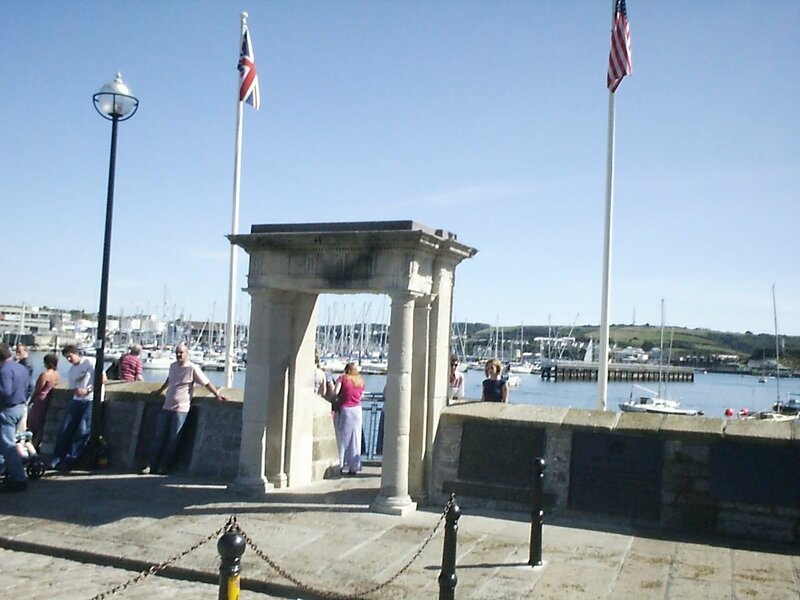 Right beside Plymouth Hoe is the historic waterfront area called the Barbican. There are a number of pubs around here, but they are not all the sort of place for a quiet pint in the evening. The whole Barbican area is very popular with night time revellers, both locals and visitors. 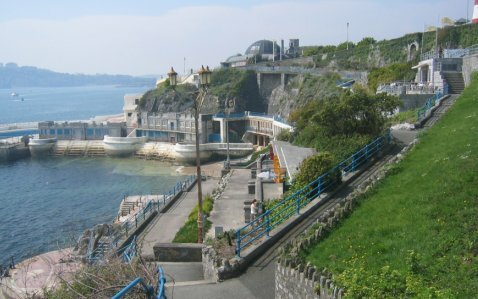 There are also many restaurants, and a well known take-away called "Captain Jasper's" which has been moved a few yards by the construction of the Glass Works (turquoise roof) in the centre of this shot. 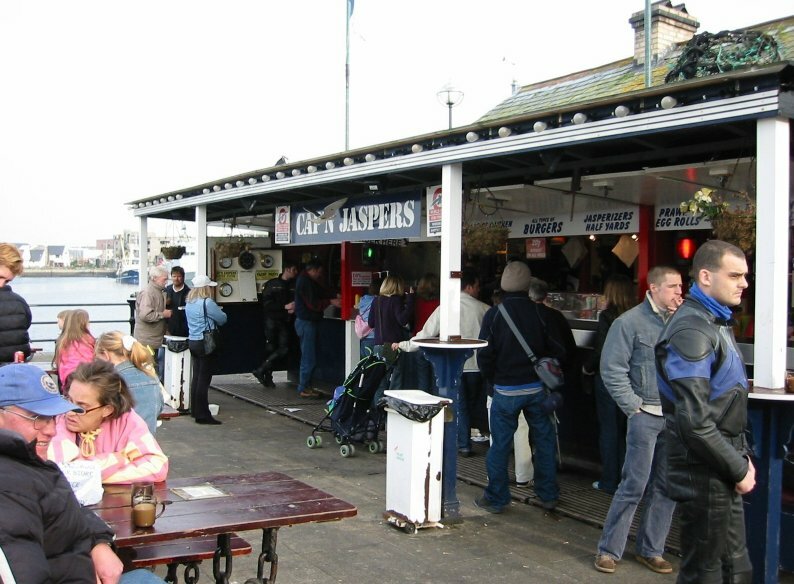 Also see the new web site for Captain Jasper's which includes a real live webcam, some more nice photos around the Barbican, as well as the menu! This is one of my top three favourite pictures here. Fishing as well as pleasure craft use the sea front. 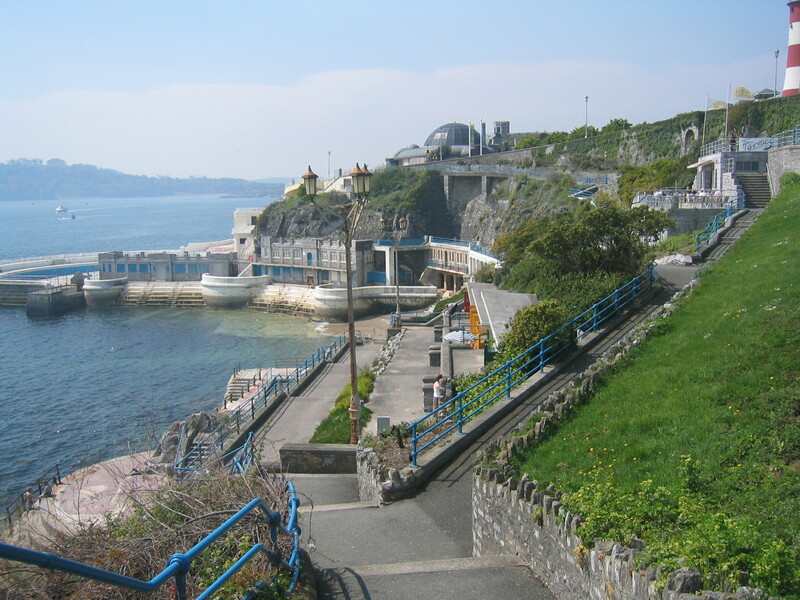 It is also possible to take a boat cruise around the Plymouth Hoe, and see the warships and other vessels that dock in the area. I have had so many requests to take a picture of the Mayflower steps, I did this as soon as their renovation was complete. 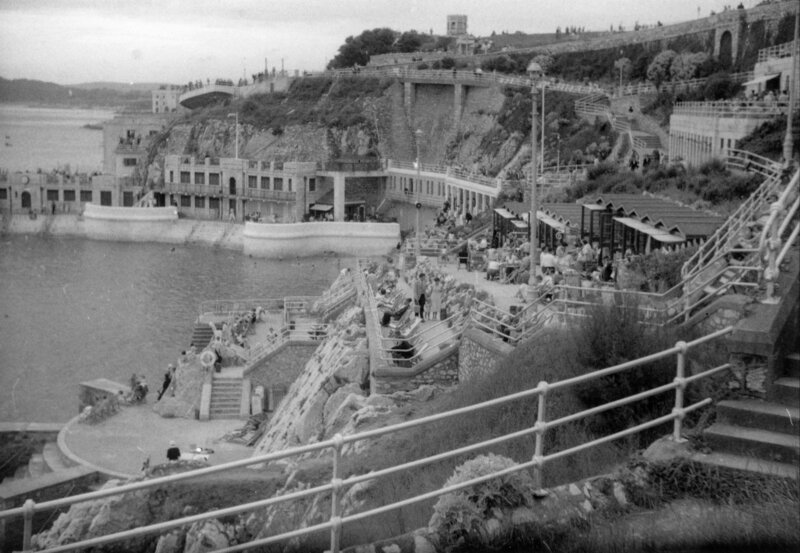 However I will warn you that they are not the original steps used by the Pilgrim Fathers, since the promenade was extended outwards many years ago. But look, they have the Union Jack and Stars And Stripes up there! 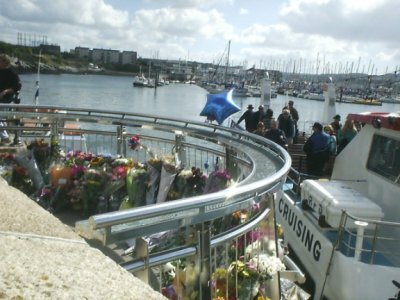 Plymouth people laid flowers and lit candles around the Mayflower steps in memory of the disaster in America on September 11th 2001. 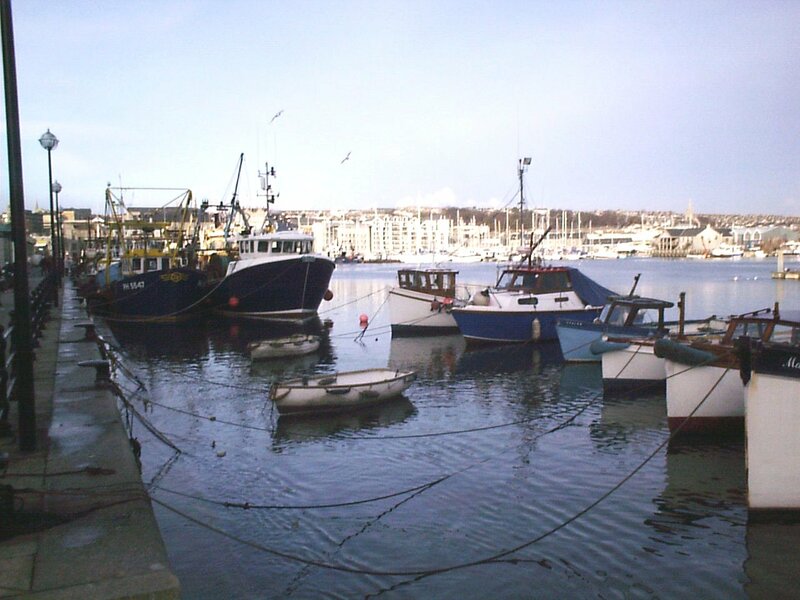 Here one of the boat trips which tour the Plymouth Sound, is pulling alongside. This picture was taken on 14th September, shortly after a three minute silence was marked across the UK and Europe. The flags were flying at half mast. Despite being very sad, this is one of my top three favourite pictures here. 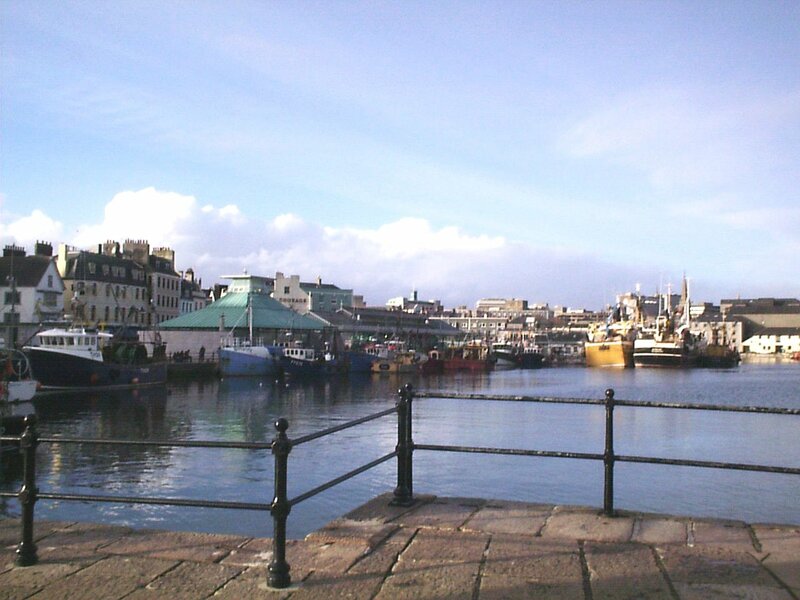 There are some great shots around the Hoe area on this site too. A major employer in Plymouth is the Dockyard. Part of the site can be seen here, taken here from a ferry by a reader Grant Fuller. Now to some pictures around the city centre. 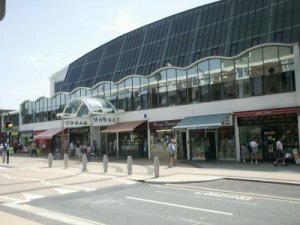 Plymouth has a large shopping centre which can come as a surprise to visitors, who may imagine it to be more rural so far down in the South West of England. 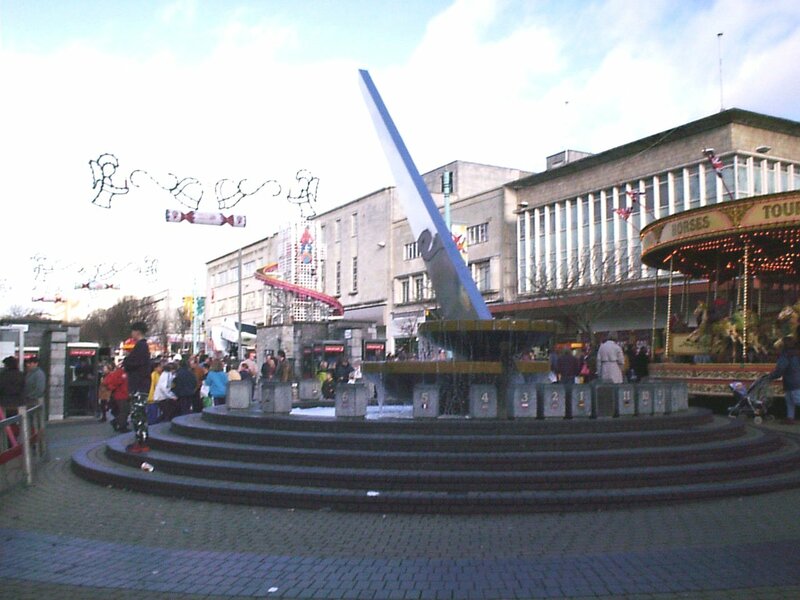 A favourite meeting spot in the centre of the Plymouth shopping centre is the sundial. It has a water fountain, and for a few days of each year it actually tells the correct time! This shot was taken around Christmas. Here is the Armada Centre (includes Sainsburys and a hotel). My favourite computer shop used to be in here but they have now developed the centre and moved out most of the interesting shops, so the Computer Shop is now a few yards along this road (just to the right on this picture). The Armada Centre now looks a little different from the outside so a new picture will be here soon. If you come to Plymouth for a short stop for shopping, this is probably the best car park; spend a fiver in Sainsburys and you can park here for 2 hours free. Not good for very long stays though, it gets expensive. 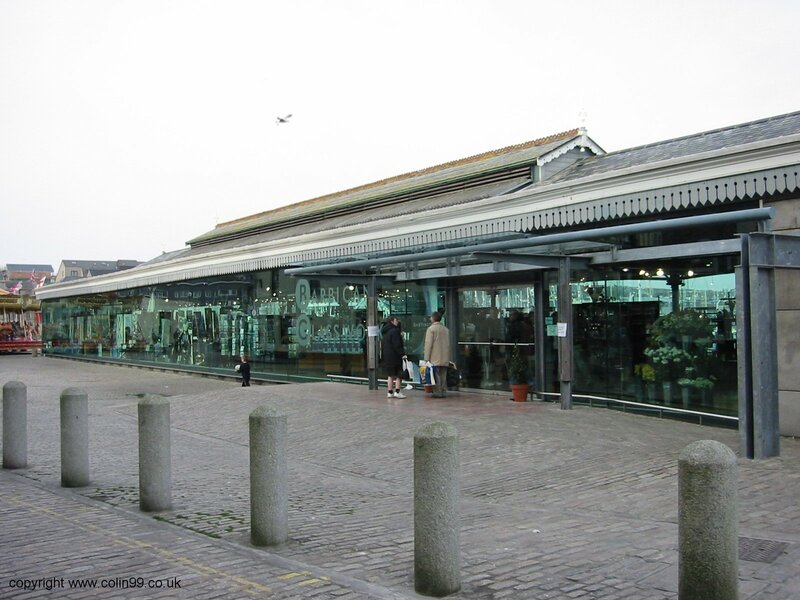 The Pannier market is an indoor arena of many individual market stalls. Especially good for cheap fresh food produce, but also has stalls selling all kinds of jewellery, electrical goods and brick-a-brack. There's also a restaurant upstairs. It has undergone some recent renovation. Here is what it used to look like. It was created by local architects Walls and Pearn between 1957 and 1959 and was given a Class 1 Civic Trust award shortly afterwards, and is now being considered for a Grade II listed building status. 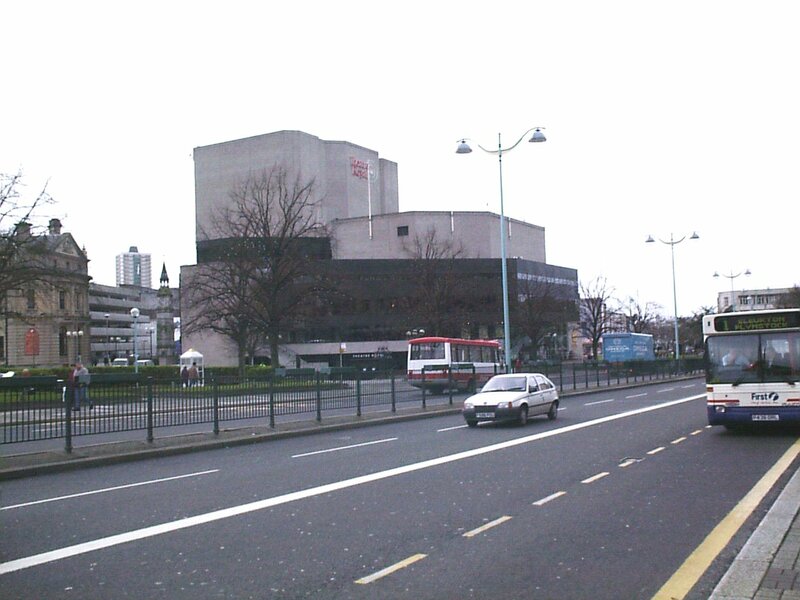 One of two theatres, the Theatre Royal is in the centre of this picture. 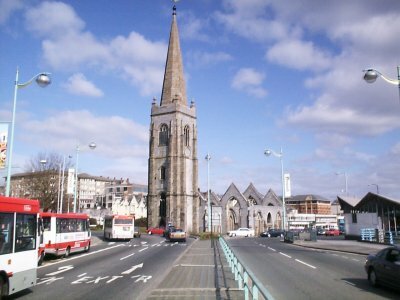 To the left and rather dwarfed is Derry's clock tower. On the left of the picture is The Bank pub, named because it used to be Lloyds Bank, or perhaps because it used to be so expensive to buy a pint in it! The road is Royal Parade, and in spring it is decorated with flowers along the railings. Plymouth city was extensively bombed during the Second World War. Charles Church was gutted, and as a memorial to the Blitz, it has been left unrepaired. It is now in the centre of a busy roundabout, but is used for occasional services, and can be illuminated. 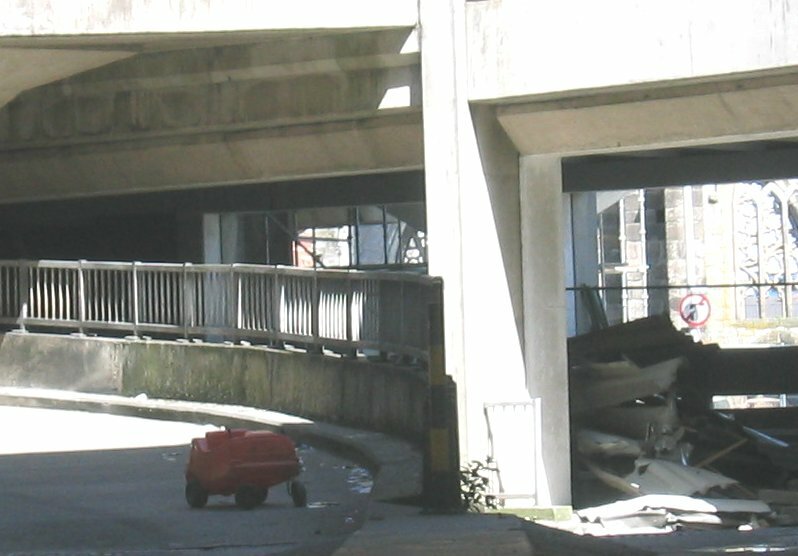 The road here runs immediately above Plymouth's bus station, called Bretonside. The surface I was stood on here may look like paving, but is really a glass skylight for the bus station below. Another reader says "Hi Colin, I was also a student at the Plymouth College of Art & Design. 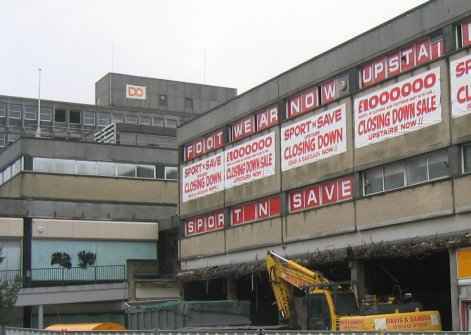 I spent a year in the old office building at Drake Circus. We only used the top two floors, but a lot of us couldn't resist looking around the other floors. Most of the floors were empty, although there were a few old desks, lights and the odd computer monitor still lying around. The floors had definitely been used by some companies and I'm sure we even saw a sign on one of the doors, but I can't remember the name. I remember that there were two small very small lifts in the building, although one was mostly out of order and the other broke frequently. I'm not the biggest fan of lifts and I really hated these lifts. The lighting was dim, the doors didn't always close fully and they were very small and claustrophobic. The sea views were great, and we really enjoyed the space, although in bad weather the roof on the fife floor would often leek and we even had a few ceiling tiles fall apart because they were so wet. Some of the windows were also dangerous and were marked with red tape, I think there was an incident where one of the windows became dangerously loose and almost fell out. 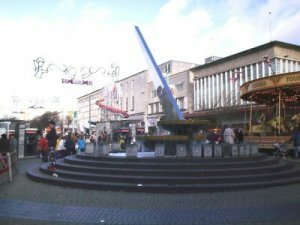 The building also created regular whirlwinds in front of the main entrance, as it was very close to one of the subways, there was often loads of rubbish circling around in a column, it was very strange! The whole experience was quite exciting and it brought the courses that use the building together, we had a sort of camaraderie because there always seem to be something strange going on. Although the tower was ugly and badly built, I will miss it as I had a lot of good times there! Just like the say I think your site is great, keep up the good work "
When the Unity Pub was demolished some of the staff from the college managed to retrieve the sign that use to hang outside, the demolition men were just going to throw it in with the rest of the rubble. As far as is known the college library is the new home to the sign. If you have broadband, there is a segment of video here of the demolition in progress. Well I say progress, I evidently don't know much about demolition, because these characters seem to be doing a lot of something, but very little actual demolition at all! What do you think? When sneaking around where I shouldn't have been, I was rather surprised to find that inside the half-demolished Charles Cross multi-storey car park, there was still someone's car! The finished new building from September 5th 2006 (pictures will be added for several weeks more). Note that the pictures are slightly compressed to save web space, if you need a high quality image of any of these pictures, just request it. See the official website here. Note that these photographs could not now be taken without risk of arrest under mis-used anti-terror laws. Please see this site on the subject. 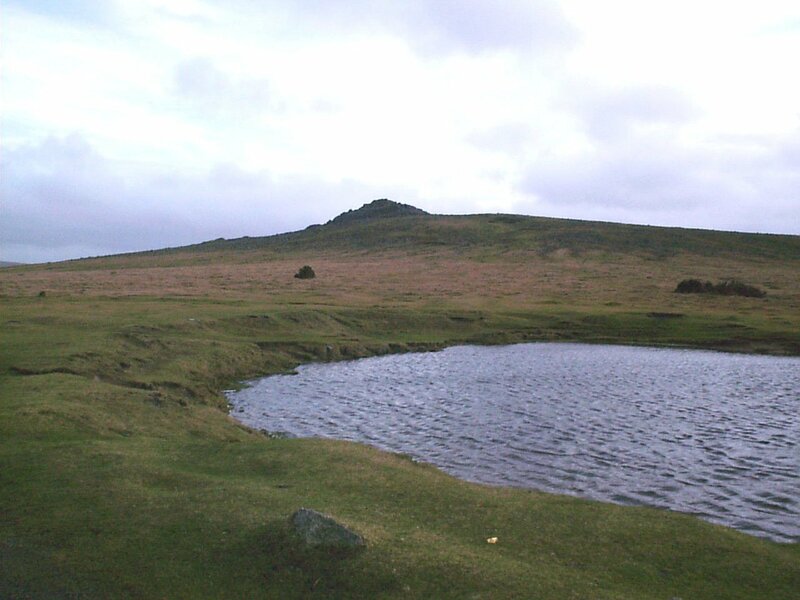 A few miles from Plymouth is the national park of Dartmoor, covering more than 900 sq km (more than 345 sq miles), of rugged terrain and wildlife. 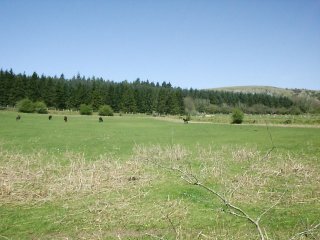 Much of the area is used for grazing of sheep and ponies, that roam the moors. Much of Dartmoor is accessible by road. Care must be taken not to collide with the sheep and ponies! 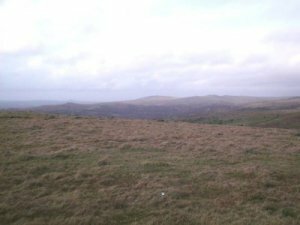 This picture was taken near Burrator Reservoir, which is a nice place to go for a walk after a meal at the Burrator Inn just up the road. 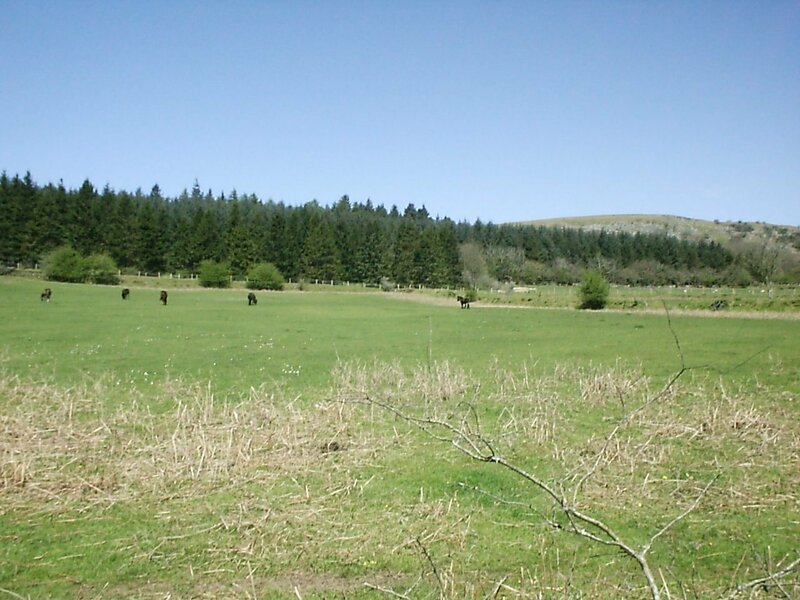 However there are large amounts of moorland that are miles from any roads. 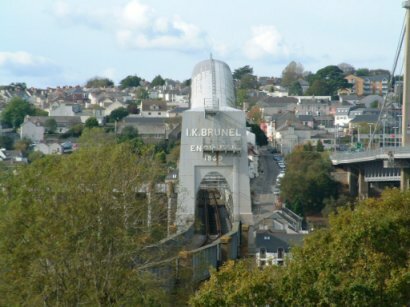 Connecting Devon to Cornwall over the river Tamar is a road bridge and the wonderful Royal Albert rail bridge built by Isambard Kingdom Brunel, completed in 1859 shortly before his death. It is almost constantly being maintained as shown here, and has been extensively strengthened over the years. 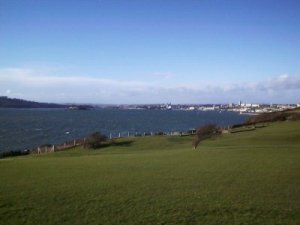 This photograph is taken from the Plymouth side and looks out to Saltash in Cornwall. This one picture I don't have in high resolution. The road bridge can be seen very clearly here, this picture taken by reader Grant Fuller. Don't forget, all pictures are bigger than they appear on this page, click on them to see them full size and in high resolution. Earlier shots were taken with a Casio QV-5500SX digital camera, and the full size pictures which you see by clicking on any of the above, use its maximum resolution of 1280*960. When it died I replaced it with a Canon IXUS V and most newer shots are taken with that at 1600x1200 resolution. Some shots from late Jan 2005 onwards are taken on a Canon EOS300D at the maximum resolution of 3078*2048. I hereby retain COPYRIGHT on all the above material and no pictures may be used on any other web sites or business printed material without my express permission, even if attributed to this site. However, if you do wish to use one of the above pictures, please email me and I will probably be agreeable. If you want to print a picture for personal use, you may do so but please sign my guestbook and tell us which was your favourite. If you want to use a picture for school work, you may do so, but please mention this web site as your source. This page changes over time, it will have more pictures from the countryside, beaches, and I have had a number of requests for pictures around Devonport. Any suggestions, please email me. For more information about Plymouth, see the site run by the local newspaper The Evening Herald, also The Town of Plymouth and the Plymouth City Council. One page which has plenty of excellent pictures of this area is from Nic Randall, who has been taking high quality photographs for some 20 years. 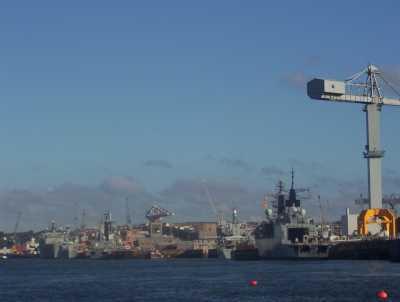 Other sites of interest include Plymouth's hotels, and The South West Environmental Engineering site. There's also the local radio station Plymouth Sound (it's a pun on the name of the bay of Plymouth, also called Plymouth Sound). Also see the Plymouth webcam on Jennycliffe, and Plymouth & South West Devon a Genealogical Miscellany. 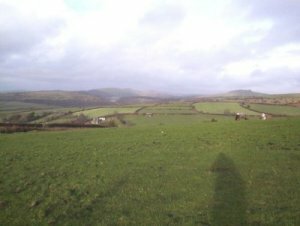 A french site has a few very nice pictures too, a new site is being created here by another resident of the area, and there is a site of pictures from Devon. If you fancy a drink, visit Plymouth's Pubs, for some history and very good links, see www.plymouthpeople.co.uk and some excellent wartime pictures here. 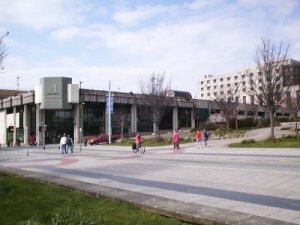 I get quit a lot of enquires about Devonport and I'm pleased to say there is now a website about Devonport's regeneration. 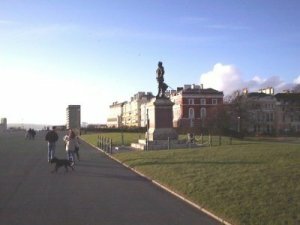 There is also a Plymouth Classical Music Concert Diary, and I particularly like this very informative Plymouth Info website. For old pictures of Plymouth, this site is simply outstanding. There are some great shots around the Hoe area on this site and Dave Upton Photography has a great selection of Westcountry pictures. Some great aerial shots here date back over many years. 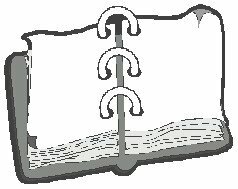 The next county South from Devon is of course Cornwall, in which is Tintagel (King Arthur Country), see "A village website with stacks of local pictures, tours, & valuable information". Dave Upton is a photographer who runs a site of old UK photos, and there are many Plymouth and Westcounty pictures there. We are listed on: Activplymouth.com the most comprehensive guide for Plymouth on the internet. Other pages of mine: My Homepage, Beta video format in the UK, Hillman Avengers, a BSB & Squarial page, and a Virtual Loft full of electronic stuff. I like to receive friendly email from nice people! However extensive spam filters dump all junk mail.